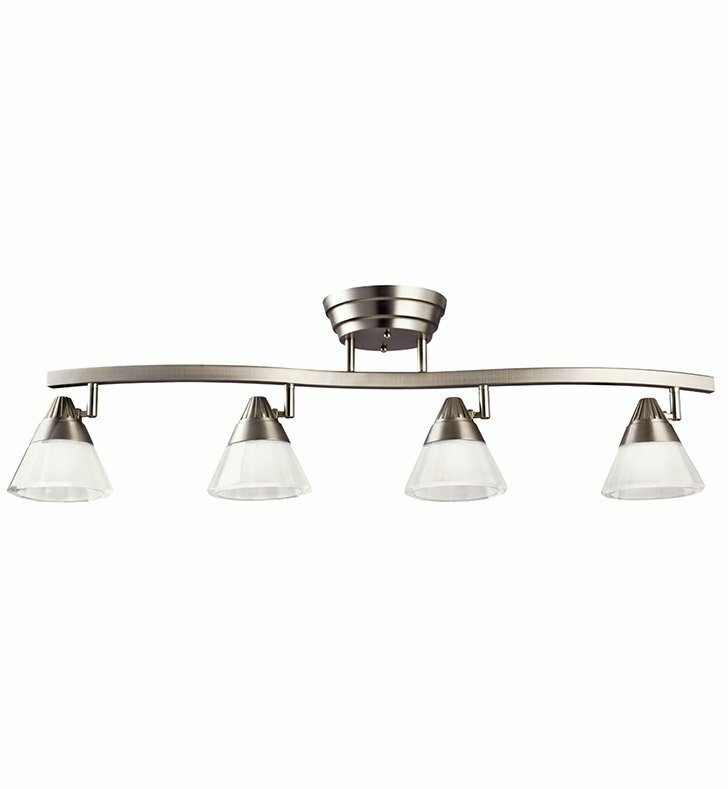 Questions about Kichler Lighting 10325NI? Create drama and light throughout your space with this versatile, energy efficient Design Pro LED 4 light rail light in Brushed Nickel with thick polished faceted glass with interior etch. This high-tech light accommodate installation on the wall or ceiling and is fully dimmable with most standard electric low-voltage dimmer switches. 34 inch length. Width 6.5 inches. Height 10 inches. Dimensions: H 9 1/2" x W 6 1/4"